Price: 850€ excl. international shipping or best offer. State: See pictures and ask questions, I can supply more pictures if needed. Movement: Landeron 149. 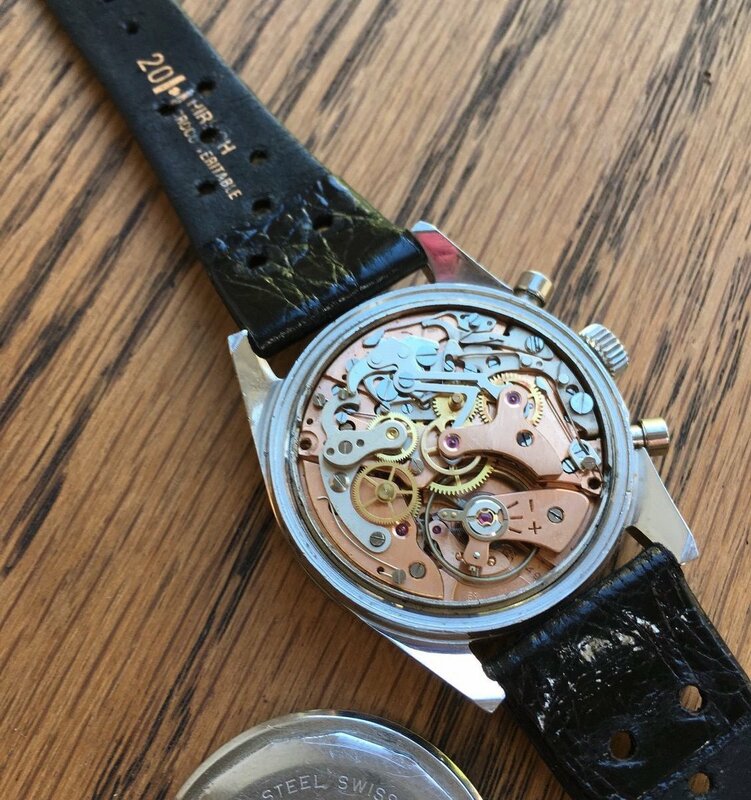 Repaired chronograph during February 2019 at a local watchmaker, receipt exists. Unknown service history, but it works fine and keeping time. 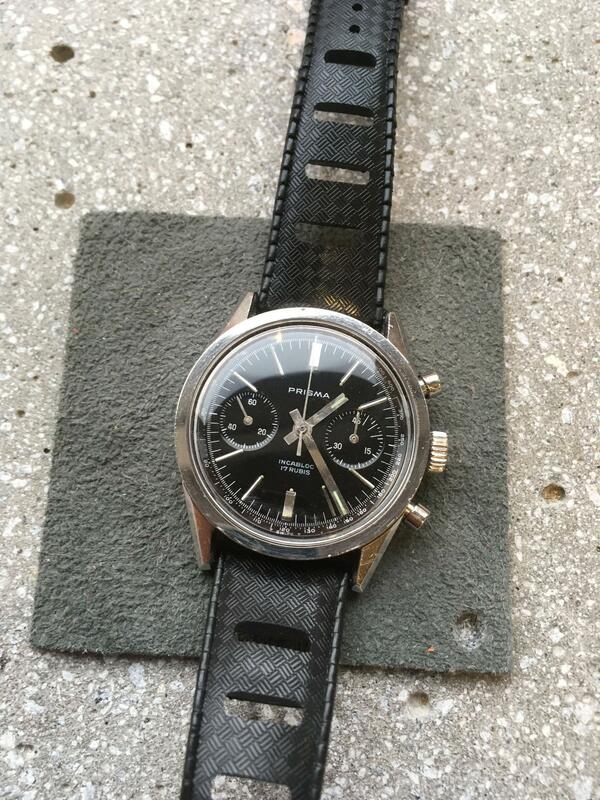 Function: The chronograph works correct and resets at 12 o' clock. Other: Glossy dial. The spring resetting the chronograph is replaced with two self-made ones, see movement picture. I've got correct spring and screw for the movement , these are included in the purchase but not mounted in the movement. Shippment: International tracked & signed. Price depends on which country it will be shipped to. Payment: PayPal (gift) or IBAN transfer. References: I've made lots of deals on the swedish watchforum Klocksnack and eBay. Proof exists.